Just "hitting the streets": Please take note ! Strategic Articulation of Actions to Cope with the Huge Challenges or Our World - A Platform for Reflection. A Mission Impossible or The Needed Critical Piece of the Puzzle? Maybe you like it and I should share the list of content before you order!? I hope you also like our connecting dots and spaces with Christakis, Laouris, Treviño, Kakoulaki and fearturing also work of Wasilewski, Jones and many other SDP practitionieers I came across over the years, trying to get some overview and insights into the "Problematique" and looking back onto Otlet, Judge and how work on a solution space is as old as the UIA ! Due in June - maybe ask for a preliminary pdf or LoC! Pls. see also the SAPREJ-12 bar below and maybe ask also for the slides of our presentation with Reynaldo and Bethania. 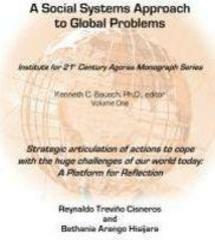 The conference proceedings with the new title Collecting, Framing, Negotiating, and Connecting in Times of a GLocal “Problematique” - A HOLISTIC APPROACH TO COPE WITH GLOBAL CHALLENGES will be published by Cambridge Scholar Publishing 2013. Drop out Rate in Schools: Bausch, Underwood, Christakis. Institute for 21stCenturyAgoras Addressing the Drop out Rate In Two Michigan School Districts. At that site also interest, check out also: OBAMAVISION. and this unique "primer" to learn about influence voting, root causes, and the structured dialogic design (SDP)approach. 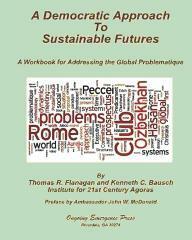 A Democratic Approach to Sustainable Futures - A Workbook for Addressing the Global Problematique.